I don’t know what the opposite of green fingered is – grey fingered? Whatever it is, that’s what I am. It’s not that I don’t appreciate the flora on our planet, after all, if it wasn’t around, we would soon run out of oxygen. It’s just that I don’t want the responsibility of looking after it. It’s no great surprise that both our front garden and back garden are tiled over. No mowing the lawn for us. Although, there are still weeds that find their way through the cracks in the stones as if to mock us. We have a neighbour, however, who adores her garden. Her front garden is set out in a Japanese style with a path that winds its way through to the front door. In her back garden, she likes to grow vegetables. She told me a gardening story today which tickled me and I just had to share it. There is a 4-year-old boy who lives in the neighbourhood. He often appears when our neighbour is knee-deep in gardening, keen to help. Today was no exception. Our neighbour tended her garden and the boy kept watch. After a short delay, he spotted a snail crawling across her path and asked if he could take it. Our neighbour considered the request carefully. After all, in the past she saw him stamping on snails and throwing them into his pond. The boy’s face contorted as he weighed up the deal in front of him. On the one hand was the prize, a nice juicy, fat snail. On the other were the heady responsibilities it came with. After a short delay, he made up his mind and nodded vociferously. 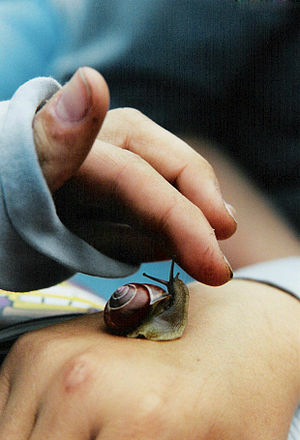 Our neighbour, duty bound by the agreement handed over the snail. After a short delay, to her considerable dismay, she saw the boy cast the snail into his pond. “I thought you promised not to drown the snail?” her challenge. “What does drown mean?” his response. The leadership lesson of the day is when you make any kind of agreement, make sure you understand what you are getting into. It’s also worthwhile making sure the other party understands their obligations too. Could save a lot of upset down the track. Whenever you go on a package holiday, there is always the meeting with the holiday rep’ to look forward to. Although it’s wrapped up as an informative session to tell you everything you need to know about your destination, once you peel off the paper-thin disguise, it’s a sales pitch. The rep’ will be looking to supplement their meagre income by selling excursions. They will usually cost far too much and will involve being herded around like cattle from one uninteresting place to the next. Some are better than others, but there are always one or two that seem to be scraping the bottom of the barrel. Once, when we went to Malta, they took us to a traditional village in the back of beyond. They showed us an old house. After a short delay, an old lady came waddling out of the house carrying a basket of washing. She walked down to the river where she started to use two big stones to wash her clothes. It wasn’t very convincing. The rest of the coach party lapped it up, giving the old lady tips in appreciation for the show. She made a tidy packet, and I just knew that secreted away inside her humble abode was a state of the art washer stood next door to a tumble dryer. There seems to be no end of labour saving devices for the kitchen. In order to carve your Sunday roast, you can use a mechanised carving knife. Don’t give yourself arm ache trying to stir a cake mixture, just throw it into the mixing machine. Do you want some bread? There’s a machine for that. When it comes to making coffee, the sheer range of devices on offer is giddying. But when it comes to washing, we don’t seem to have advanced much further than the rocks in the river. Yes, we now have washing machines, but you still have to sort through your clothes to make sure your favourite red and white top doesn’t come out pink. We have tumble dryers, but you still have to scoop everything out of the washing machine and load it. If you get it wrong, you end up with a jumper that fits action man. We even have new, improved washing powder that still doesn’t manage to get everything clean. 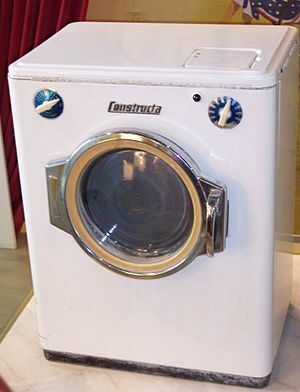 White goods manufacturers haven’t advanced much since the old twin tub. To give them a helping hand, I’m going to invent the ultimate washing machine. I’m picturing a hopper at the top into which you place all your dirty clothing. Inside, there will be a sorting module which will work out what goes with what. Then there will be the washing machine itself. After the washing machine, there will be a scanner to find any clothing that needs another cycle. Anything that makes it through, will be dried, pressed and folded ready for collection at the bottom. The little old lady in Malta would be proud. We had only just moved there. For the first few days it rained. I felt trapped inside the house, aching to play outside. I could only have been three years old and I drove my mum mad as I complained of boredom, hunger and about the rain. At last the rain stopped and I ventured outside into the garden. “Stay close to the house!” mum warned. Before long, I noticed the shed. I had seen dad take stuff in and out and my curiosity was piqued. Prying open the door, I looked inside. An Aladdin’s Cave of tools, buckets, paints and old bits of wood lay haphazardly around the inside of the shed. Some were covered in spiders’ webs. I steered clear – I don’t like those infernal creatures. One item stood out amongst the junk; a bright red paint pot which looked to me just like a soldier’s helmet. I tipped it over and put it on my head wrapping the handle round my chin like a strap. It felt very heavy and I struggled to keep my head upright. I marched like a soldier into the kitchen to show mum, expecting her to be pleased. She screamed. The red paint had seeped down over my hair looking like blood. My dad grabbed me and began washing my hair using white spirits. They felt cold and stung my eyes. I cried. 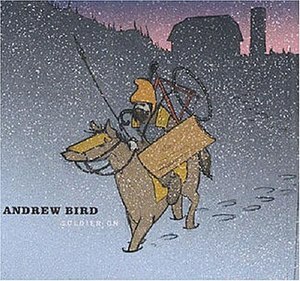 I only ever wanted to be a soldier.